Based on member and industry research performed in 2015 to determine ways International Carwash Association can best serve the industry, ICA has launched several new networking, learning and social events for car wash professionals in 2016. Visit http://www.carwash.org/news-landing/2016/01/12/ica-launches-new-series-of-events-for-car-wash-professionals to view the full article online. After 14 years, Quick Quack Car Wash is finally opening a new location in Amarillo, the city where the very first Quick Quack was built. To celebrate, Quick Quack is giving away free car washes for 10 days and includes free vacuums and a new hand towel dry service. The new location is the fourth Amarillo location for the car wash chain and the twentieth location overall. 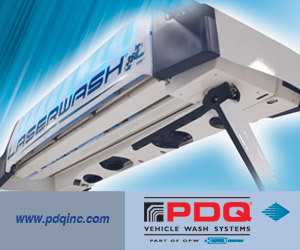 Visit http://www.prnewswire.com/news-releases/quick-quack-car-wash-celebrates-new-amarillo-texas-location-with-10-days-of-free-car-washes-300202557.html to view the full article online. Andrea and Tony Senturk, owners of Long Neck Car Wash, recently donated $1,098 to the Beebe Medical Foundation from a fundraiser where they focused on raising awareness for the "Day Away Retreat" program at Beebe Healthcare’s Tunnell Cancer Center. Visit http://www.beebehealthcare.org/news/beebe-medical-foundation/long-neck-car-wash-supports-patient-program-beebe-healthcare%E2%80%99s-tunnell to view the full article online. A master technician at Olson Tire & Auto Service, Inc. in Wausau has some recommendations to keep your car healthy through the long, winter months to prevent common problems. 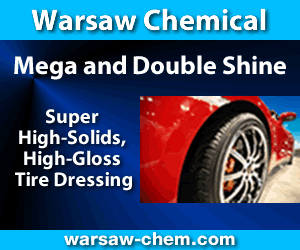 Visit http://www.waow.com/story/30940210/2016/01/11/preventative-winter-car-care to view the full article online. Local entrepreneur Kevin Awalt has turned more than a decade of experience detailing cars and a true passion for the trade into a successful business. Awalt, who has been detailing cars since he was a teenager, opened Arkham Shine Paint Correction and Detailing last year. Visit http://www.newmilfordspectrum.com/news/article/Entrepreneur-s-brings-eye-for-detail-to-New-6753405.php to view the full article online. Success and productivity don't just appear overnight. To help make them happen, here are some crucial strategies to adopt from the very beginning. Visit http://www.inc.com/lolly-daskal/7-strong-habits-of-successful-leaders-first-90-days.html to view the full article online. We rarely grow alone. In fact, some psychologists have made a compelling case that we only grow in connection with others. However, we don’t need to learn with others in formal training or development programs: we can architect our own opportunities to gain insight, knowledge, and skills that move us on an upward trajectory. Visit https://hbr.org/2016/01/we-learn-more-when-we-learn-together to view the full article online. When executed properly content exists in a fully integrated, planned and positioned way such that it is both relevant and contextual to its audience, your customers, clients or potential leads. It gives your company a voice and reinforces the ways in which you chose to do business. Visit http://www.huffingtonpost.com/andy-betts/preachers-not-practitione_b_8953576.html to view the full article online. If you’ve noticed a drop in participation or followers, now is the time to reflect on how you are using social media platforms. Are you bombarding your audience with advertisements and products or services you are hoping to sell? Instead, focus on engaging your audience; asking them for their opinions, comments, and ideas on how you could make things better for them. Visit http://www.forbes.com/sites/danielnewman/2016/01/12/social-media-is-no-longer-a-marketing-channel-its-a-customer-experience-channel/ to view the full article online. Kleen-Rite Corp announced the latest innovation of spray nozzles and the way to save more money. Rising water and sewer bills are at all-time highs, and car wash owners need to learn how to take action. With the water bill being the biggest component in the car wash industry, the smallest component can be one of the greatest influences on the amount of water that is used. We welcome the spray nozzle. Visit http://www.carwash.org/news-landing/2016/01/13/kleen-rite-corp-announced-the-latest-innovation-of-spray-nozzles to view the full article online.